For us skiing is skiing off-piste. On all our trips are you always with a certified UIAGM/IFMGA mountain guide, in a small group of skiers who are all there for the same reason. To ski off piste and enjoy the mountains on all different sides. We often get questions about the best off-piste in the Alps. Where is the best snow? Which is our favorite resort? Good questions but the best off-piste is not so much about a particular resort, rather which place has got the most snow lately. This is the trip that takes you to where the snow is the deepest right now! Our bestselling trip to the Alps – now as weekend trip! We often get questions about the best off-piste in the Alps. Where is the best snow? Which is our favorite resort? Good questions, but the best off-piste is not so much about a particular resort, the way we look at it, it's about which place has got the most snow lately. This is the trip that takes you to where the snow is the deepest right now! Powder, good food, bathing in natural hot springs and ski adventures in the beautiful woods is what await us on Hokkaido in Japan. Hokkaido is the northern island of Japan, thanks to cold winds from Siberia and northern China, there are incredible amounts of snow every winter. Statistics show that it snows around 15 meters per season. Winter in the summer time! South America, is something quite different. Since it is loacated in the southern hemisphere it's winter when we have summer. 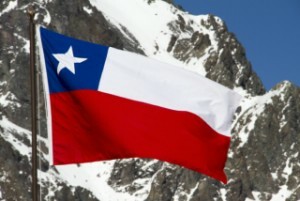 Add to this the Andes mountain range which runs along South America's Pacific coast, through Colombia, Ecuador, Peru, Bolivia, Chile and Argentina and ends in the far south of Cape Horn. In total it's 7500 km long, making it the world's longest mountain range. Information about this course is not available in English. Please contact us at info@mountainguide.se if you have any questions. One mountain, one lift, no piste. The mountain is called La Meije, pronounced "La Mesh" and offers incredible skiing opportunities with fields, big glaciers, forest and steep corridors. 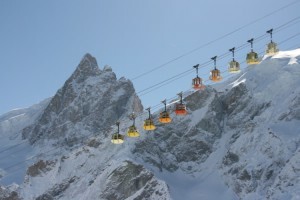 The first time you go up with the old gondola you might think that the lift is slow. But truth be told, it's a long way to the top. Just relax, enjoy the scenery and prepare for the biggest off-piste descent in the Alps. 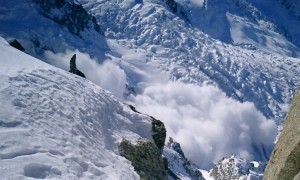 The ultimate off-piste skiing challenge begins in La Grave. There's one big mountain with one lift on the border to a national park. Six days of skiing with a mountain guide who will find you the best snow. We are based by the fjord, at Trollviken lodge. From there we explore the best of Artic skiing. 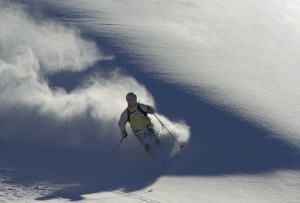 During the week we will have one day with heli-skiing. 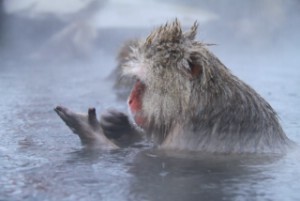 Join us on our powder trip to Honshu, the main island of Japan! 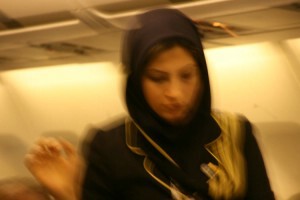 This is the trip of hidden secrets. We have chosen not to present a program and reveal exactly what places we go to on Honshu. You simply just have to trust us and the fact that we have the same goal as you, we want to ski good powder snow and experience the authentic Japanese culture. You've probably seen the tracks – seen the off-piste tracks that the other skiers have made and you would like to ski like that! This is the trip if you haven't yet tried off-piste sking at all, or only tried a little bit. Together we ski powder as much as we can during a week. It is not so difficult if the snow is soft and nice. 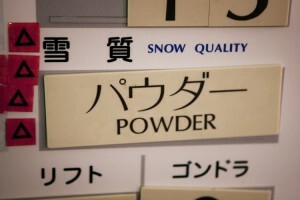 But it's not always soft, so we will practice at types all types of snow. 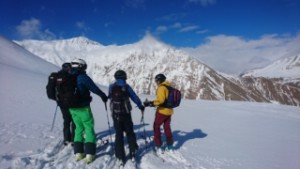 Welcome to follow a different ski week with off-piste skiing and ski touring in the Caucasus mountains. This is a week of exploration where we cannot set an exact program in advance of what to do. Of course, we adjust the level of skiing according to the group's wishes and prior knowledge. There are two mountain chains in Iran, the Alborz Mountains and the Zagros Mountains. Our trips go to the Alborz Mountains offering many peaks over 4000 meters. The highest lift goes up to 3960 meters and offers a vertical from 1000 to 2000 meters. As if this wasn't enough, the terrain is excellent for ski touring and by doing short hikes from the top of the lift we can reach amazing skiing. 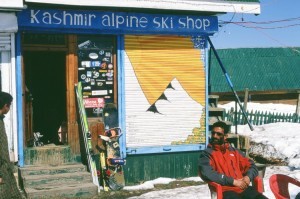 Gulmarg is a unique ski resort in Kashmir, India. There is a lift that goes to 4000 meters above sea level and no groomers. The village itself is situated among rolling meadows high on a plateau at 2700 meters. 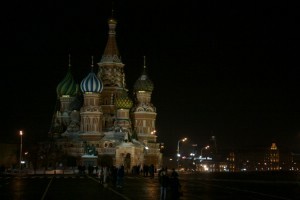 Ever been to Russia? Know anyone who has? 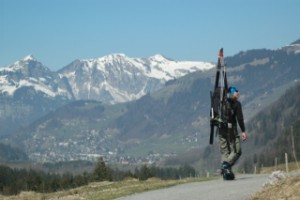 For skiing? Did you know that the Caucasus mountain range is like the extremer part of the Alps, but one notch up. Runs are long, steep and complex – glaciers, couloirs and skinning is part of the game when skiing on Elbrus, Europe's highest mountain 5642 meters. 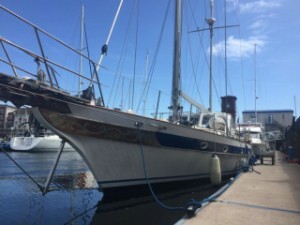 Sail and ski! 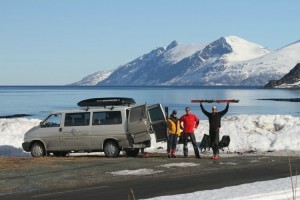 Join the powder ship and sail around Lyngen for a different ski tour. You cannot get closer to nature and its elements than this. 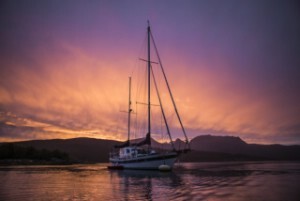 The sailboat will take us to the mountains, uphill we hike on climbing skins and downhill we enjoy great skiing. 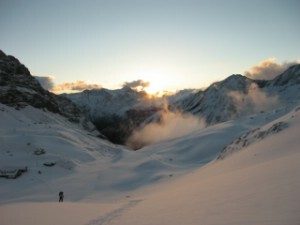 The area is perfect for ski touring. From Gratangen Fjellhotel, we can put on the climbing skins directly outside the hotel and climb 3 different mountains with over 1000 vertical meters. From the summit, we overlook different fjords. If we want, we can take our minibus to other mountains in the area, within one hours drive there are over 50 mountains with excellent ski touring. 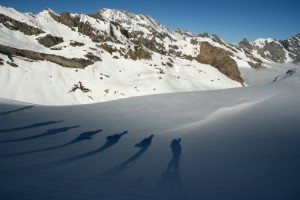 The Haute Route is a multi-day ski tour from Chamonix to Zermatt. This classic journey was first completed as a glacier trek in the summer of 1861 by members of the Alpine Club. They named it the High Level Route. The name was translated into French and became commonly known as the Haute Route when it was first successfully undertaken on skis in 1903. Svalbard and Spitsbergen is a magic place with a unique nature and wildlife. You can find both arctic fox, reindeer and polar bears. In the sea there are whales, dolphins, seals and walruses. 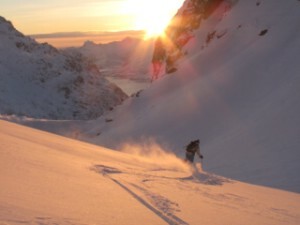 Around us rises a range of beautiful mountains out of the sea and offers wonderful opportunities for ski touring. For those backcountry skiers who enjoy untouched snow conditions, majestic views, Italian food and a great atmosphere this is a place not to be missed. The journey will take place over five intense days including an marvel ascent of the Gran Paradiso peak at 4061 m, in other words a paradise for all those backcountry skiers out there. The Ultimate Haute Route skitour for those who likes long nice runs. Every day we are rewarded with a run down that is 1000 meter vertical or more. Welcome to a great ski touring area in Europe without crowds. 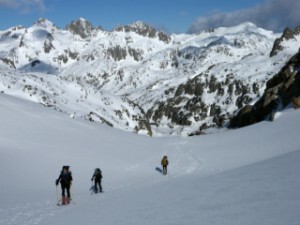 The Aigüestortes national park is a great place for ski touring – without the intense amount of visitors as you find in other ski touring areas in the Alps. Ski touring is a wonderful combination of beautiful views, the stillness of being in the mountains and the action of downhill skiing. 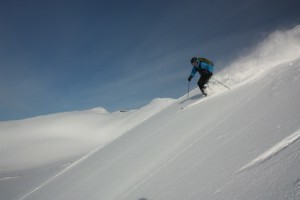 The skills you need, to go on ski tours in a convenient and secure way, are very extensive. You need both personal skills of skiing, general knowledge of navigation and path choosing as well as specific knowledge of for example avalanche security. In short, there are a lot of funny things to learn and on this course we enter deeply into the above. The goal of the week is to learn more about ski touring and have amazing experiences in an extraordinary environment. Far up in the northern part of Norway there is a peninsula called Lyngen. On this peninsula, and on the islands around, beautiful mountains rise out of the ocean and give us great opportunities for ski touring. 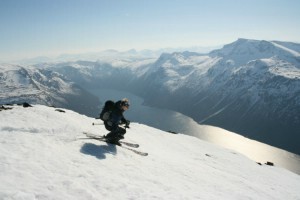 The view over the fjords is indescribable and the shapes of the mountains offer superb skiing. Welcome to the Trollviken Lodge by the Ofot fjord in Norway. 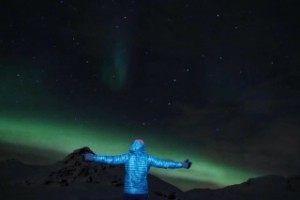 This is a wonderful place if you wish to experience genuine mountain culture on an old fish farm in the middle of Scandinavia's best ski touring area. We enjoy good food, sleep well and discover new summits every day. In the evening we take a sauna and a swim in the fjord before dinner. Then we sleep comfortably at the lodge with the smooth rhythm of the waves as background sound. On the other side of the fjord we can see the lights from Narvik reflecting in the water. 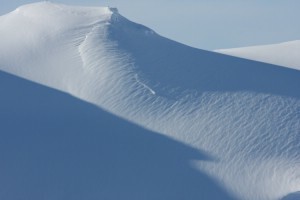 Join us on a ski touring week in the great wilderness of Swedish Lapland. Many of the mountains in this area do not even have a name on the maps of today. With or without names, the mountains stand there in their strength and beauty offering us fantastic skiing opportunities. 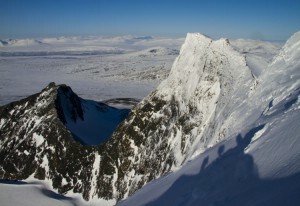 During this week we will try to summit Kebnekaise, Sweden's highest mountain. 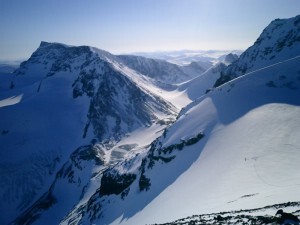 On this tour you will see one of the most stunning mountain areas in Europe. Peaks like Jungfrau, Eiger, Monch and others all over 4000 meters lie around us. The mountain huts along the tour are very nice with good Swiss cuisine. 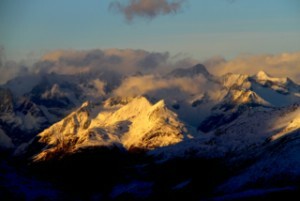 The Bernese Oberland ski tour takes you from Grindlewald in the west to Grimselpass in the east. This trip in Europe's last wilderness has our most demanding ski touring itinerary. In Sarek there is nothing and everything. No trails, no huts, no motor vehicles, no people. Just you and your friends and hundreds of mountains.